Very professional, great bedside manner, helpful and informative. Looking forward to my next appointment with him. 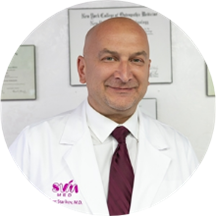 Dr. Starikov is an OBGYN affiliated with Mount Sinai Medical Center. He is an active member of the American College of Osteopathic Obstetricians & Gynecologists including the American Osteopathic and Pennsylvania Osteopathic Medical Association. He attended New York College of Osteopathic Medicine and was the Chief Resident at St. John’s Episcopal Hospital in NY. For over 23 years Dr. Starikov has brought the highest credentials, education and care to each patient. In 2001, Dr. Albert Starikov obtained his doctorate of osteopathic medicine from the New York Institute of Technology in Old Westbury, Long Island in the state of New York. An adept of continued education, he remains active in his field through his professional society memberships with the American College of Osteopathic Obstetricians and Gynecologists and the American Association of Osteopathic Medicine. Furthermore, Dr. Albert Starikov has received inclusion into The Leading Physicians of the World. He was granted this prestigious honor by the International Association of HealthCare Professionals (IAHCP). Professional, knowledgeable and well spoken. Would definitely return again. This doctor is very good. The wait time was longer than expected. Except for the wait time it was a good visit. Scheduling of the appointment was fast and easy, the actual check-up could have been more thorough, but the bedside manners of Dr. Starikov were excellent.